Microsoft Outlook has given a rich interface to the business users to handle emails along with multiple other professional features. Often, people might come across some issues that result unknown errors. Most of the errors occur when a user tries to add or remove a contact, send or receives emails, add or update calendar entry, etc. If this time it’s you, go through this post to know the cause of the Outlook error 0x8004060c along with the resolution options. Usually, while working with Outlook, most common error that users might receive is Error 0x8004060C. The main reason of a corrupt PST file is its size. If you are using the older Outlook versions, then such errors might occur very often when Outlook OST/PST file has reached its maximum size limit. Initially, the increasing size of PST file lower down the speed of the Outlook and also hampers MS Outlook Email operations like send/receive, etc. further the oversized PST might get corrupt and becomes inaccessible, which lead to data loss. As we have already covered that Outlook error 0x8004060C usually occurs due to oversized PST file. In order to manage an increasing PST file size, you need to compact, archive or split it. Delete unwanted emails and other items from Outlook inbox along with Deleted Items folder to remove unnecessary occupied space. Archive PST data from your old PST files. Reduce the PST file size by splitting the PST file into smaller files. Except all the above explained methods you can also use a professional application to reduce and manage the size of your oversized PST. These tools are highly advanced and let you perform multiple operations without causing any data loss. Outlook offers you an inbuilt application named Scanpst.exe to deal with the OST/PST corruption issues. However, this inbuilt utility might not work for a large sized PST file and also not work for deeply corrupt OST/PST files; therefore, be ready with some advanced tools in case of disaster. You can also try to re-create the OST file; it will surely help you to resolve the problem. In case the error is due to corrupt OST file and you are unable to resolve it, then Re-creating the .ost file could be a better choice that might help you. An OST file is the exact replica of exchange data; therefore, you don’t require backup to restore PST, just recreating the OST file can resolve your problem. Select Mail Setup dialog box title bar, where the name of the current profile will be displayed. Click Show Profiles option and select the profile name you want to recreate. Now, select ‘Advanced’ tab -> Offline Folder File Settings and click Disable Offline Use. Note: Disable Offline Use will only become clickable, when you uncheck Use Cached Exchange Mode check box. After selecting Disable Offline Use, a new dialog box displays, here select Yes button to confirm. Select Offline Folder File Settings and click OK.
Now, select the Use Cached Exchange Mode check box from Cached Exchange Mode Settings and click OK then ‘Next’ and then ‘Finish’. Select ‘Close’ button to close the ‘Account Settings’ and ‘Mail Setup’ dialog boxes. In case, even all the above explained methods didn’t help you out then, you can also try Scanost.exe or OST integrity check tool. But if this method also fails to recover your OST file, then go with a powerful OST recovery solution. Stellar Converter for OST Tool (http://www.stellarservertools.com/ost-pst-converter.php) is a powerful software to repair corrupt or damaged OST file and convert orphaned OST file to Outlook importable PST file while keeping the original data formatting intact. These tools are capable of restoring all the mailbox items, such as emails, attachments, contacts, notes, etc. and convert them into PST format and also let you to save the converted OST file at any desired location. Outlook.ost is in use and cannot be accessed! Manual solution didn’t work and the error is still prompting while I attempt to send an email. Is my OST file corrupt, or I’ve wrongly changed the Outlook settings. Any suggestion. FYI, OWA is working fine. This is good if OWA is working, at least you can access you inbox online. I’m not sure if you’ve changed settings in your Outlook profile but if the error message still prompts on your screen even after using all the manual procedures including ScanPST; I’m sure your OST file is badly corrupt that can not be repaired using free methods. 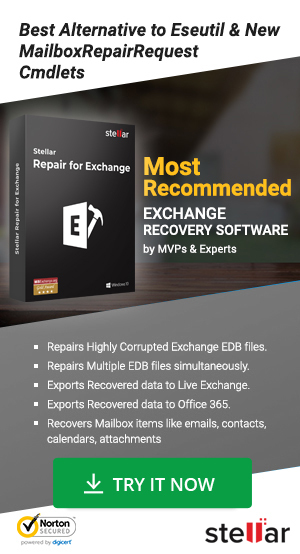 All you need Stellar OST to PST Converter (http://www.stellarservertools.com/ost-pst-converter.php) to repair corrupt OST file and recover all the data into PST format. Later, you can import this PST to Outlook and check again for further issues. I hope it will resolve the Outlook send/receive error permanently! You can also subscribe to our Exchange blog to receive the latest updates.